← Records Revisited Post 3 of ?? Records Revisited Post 4 of ?? Realizing that I have now made it to 4 posts on this topic I hope I haven’t lost every single reader I ever had. I will finish what I started though, because I do feel strongly about keeping good records, and am excited about any tools that can help making it easier. 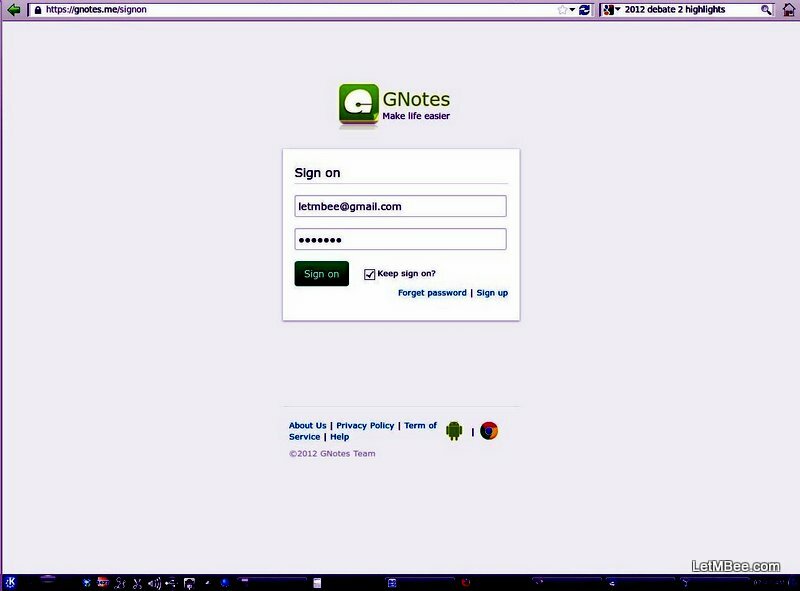 The login screen to GNotes as seen on your web browser. 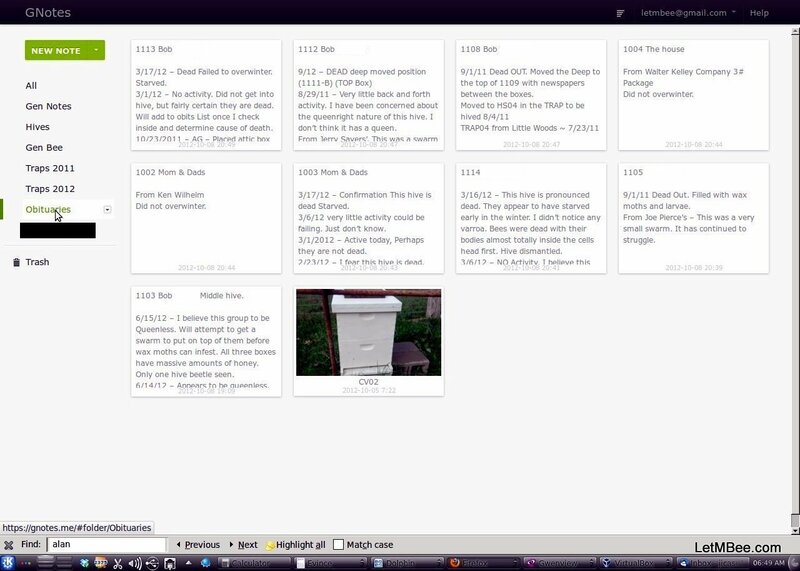 In this post I am going to show some of the web front end of the GNotes application and show how I utilize it. As I stated earlier the first thing you need to do after setting up your account is to login. Folder with sorting method highlighted. Once you are logged in you will be taken to a screen that shows folders on the left side of the screen and specific entries over the rest of the screen. Each of the folders can be selected and then the specific note can be opened by clicking on it. Notes can be organized by Created Time or Modified Time. I prefer to use Modified Time as it places the most recent modifications at the top. 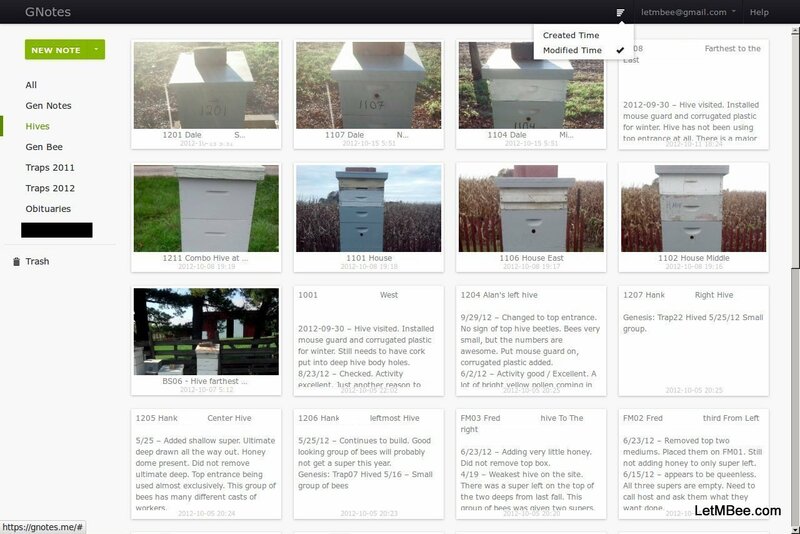 As time passes it becomes apparent which hives have been visited and which ones are in need of some observation time. An example of notes from 1104. The display is very simple and easy to use. Specific notes can be opened and edited by clicking on them. I have continued my method of keeping the most recent notes at the top of the entry. Therefore Genesis information for the hives are always at the bottom. Since I began using this program it has helped to make certain observations more clear. Once such observation is that nearly 50% of my hive obituaries have come from one hive site. I have had that in my records previously, I just had not been reviewing it enough. Being more aware of the records will make it easier to come up with strategies. There will only be one more post about GNotes, the pros and cons. Look for that next week. Everyone knows we should all keep better records. I am ready to move on to something a little more controversial. I hope to have that complete by Friday. Until then any comments or questions? 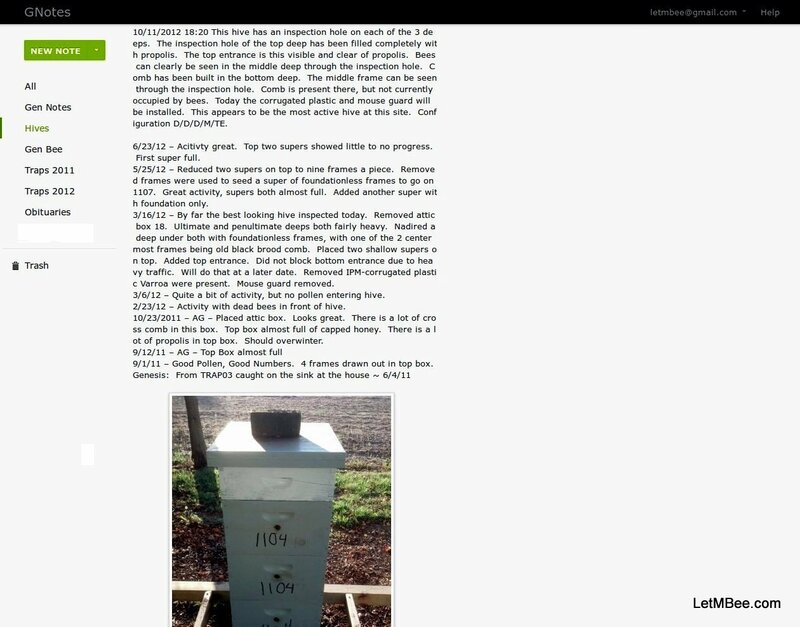 This entry was posted in Hive Reports, HowTo, Posts and tagged bee, beekeeping, Indiana Beekeeping, Jason Bruns. Bookmark the permalink.